I’m not sure how traditional it is to start a Nepalese street food feast with a glass of well-chilled Prosecco, but I’m not complaining. Nor about the jam jar filled with gin and tonic; the spirit the amazing aromatic small-batch Butler’s Gin from Ross William Butler, all giddy with cardamom and lemongrass. Alcohol aside, I’m a little giddy at the prospect of finally trying the food served up in Rajiv’s Kitchen. Better yet, I’m here in my favourite capacity – front-of-house/kitchen-porter/general mucker-inner. Many people prefer to sit, chill out, and be fed; I prefer to stay on my feet, feeding my curiosity along with my appetite by getting my hands dirty. And on this occasion, Rajiv didn’t need too much persuading to accept the offer of extra help. Turning out 10 traditional Nepali street food specialities is no mean feat, particularly when it’s for 34 guests plus a few walk-in customers who just couldn’t resist the aromas wafting their way. My own nose has been twitching since we finally got the ovens firing, so I share their feeling. Rajiv, meanwhile, is claiming to feel nothing but nervous – although his version of the emotion is the most laid-back I’ve ever witnessed. 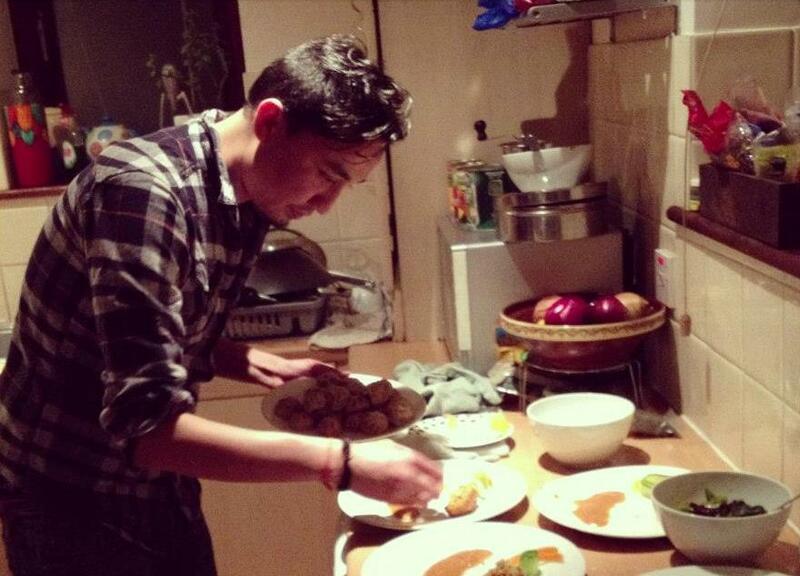 Perhaps it’s a Nepalese thing; his aunt and cousin, playing sous chefs for the night, are similarly good-humoured. Perhaps he just knows how content his khana is going to make the assembled masses. Let’s face it, there’s not masses of Nepalese food about in the UK – and what there is mostly comes from the Gurkha tradition. There are a few Nepalese-owned restaurants, mostly dotted around the home counties. Surrey’s Gurkha Kitchen is one; a venue Tom Parker Bowles visited and loved. But the majority sadly serve their traditional food as a sideline to more in-demand curryhouse classics. Charles Campion is another critic who’s enjoyed Nepali food and hospitality in the past; The Great Nepalese near Euston a regular inclusion in his restaurant guide. Over in West London lies the Kathmandu Inn. And all the guests at the launch of ‘The Big Curry’ were treated to ex-soldier Pemba Lama’s spectacular Gurkha grub at the charity campaign’s launch lunch with the Chelsea pensioners. Pemba Lama is perhaps the best-known Nepalese chef in the UK, thanks in no small part to editor Annie Watsham, who worked on ‘The Ultimate Nepalese Cookbook’ alongside the esteemed fellow and Nicci Gurr, developer of some fascinating modern Nepalese-inspired dessert recipes. I reckon that this trio of true champions of the cuisine would all heartily approve of Rajiv’s Kitchen. The ability to share and promote undersung cuisines is just one of the many fantastic things about supperclubs. Hosts have far more freedom with their menus than most restaurants, where the food offer is necessarily tightly controlled to maximise profit and often dictated by diner’s demands. Most hosts merely want to share the food they know and love, and know others will love at first taste. Supperclubs are where you’ll find the undiluted, authentic, home-style dishes that just wouldn’t work in a restaurant – for reasons of profit, practicality, or prettiness. For precisely that reason, a supperclub is a pretty good prospect if you love good food, good company, and a good opportunity to discover a new cuisine. Like Rajiv’s remit, which, unusually, includes a few Nepalese dishes from the extensive Newari cuisine. 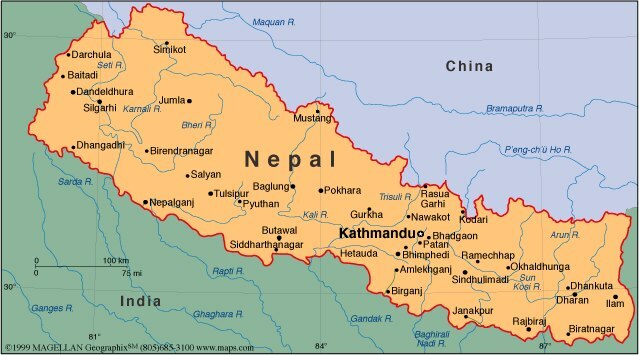 The complex khana of this community is the result of economical wealth and agricultural riches in the Kathmandu Valley. A tongue-in-cheek proverb says that, ‘Nepalese hill people bankrupt themselves with sexual amusements; Newars bankrupt themselves with feasts’… Although good luck saying ‘Parbate bigre mojle; Newar bigre bhojle’ with your tongue lodged in yours! 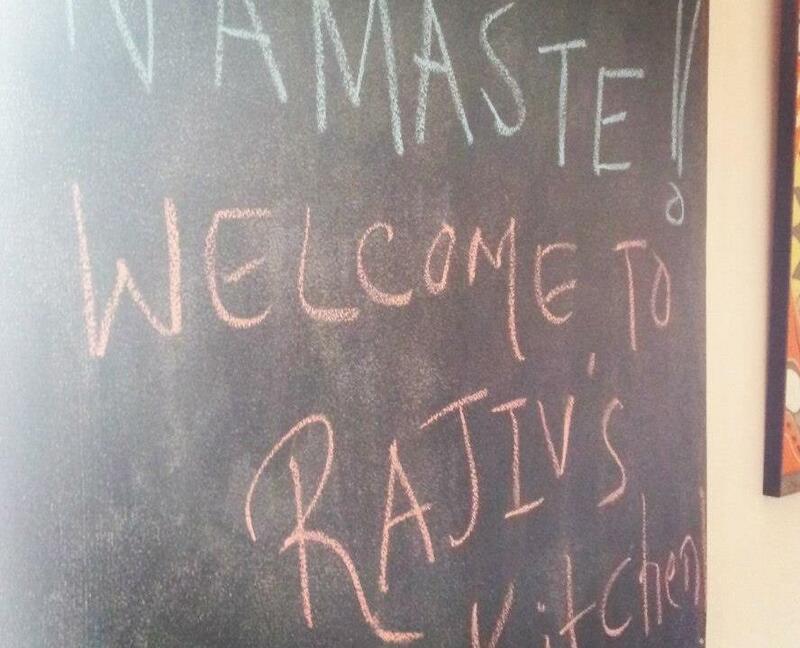 Rajiv’s lengthy menu is the ideal intensive crash-course, perfect for a roomful of diners totally new to Nepalese. These guys might not know what to expect from the food of the landlocked country that borders India, Tibet and China , but it’s safe to say their expectations are as high as the Himalayas. 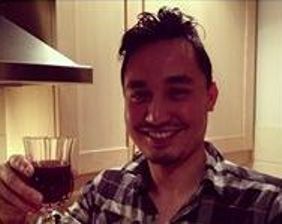 The feast has promised to evoke a ‘night out in Kathmandu’ – but what can this man do? Turn out some pretty fine food, as it goes. Never having been to Nepal, I can’t vouch for the authenticity of tonight’s warm, convivial atmosphere and the joyful appreciation of the broad, brilliant banquet, but I’d like to imagine visitors to the city are every bit as happy and well-fed as this bunch. Rajiv better prepare himself to be appointed an ambassador to his homeland, because words of wanderlust amongst diners are as abundant as the food on the plates. Meanwhile, the host’s having to keep a fair few metaphorical plates spinning, because this menu requires multiple methods and much concentration. First out of Rajiv’s Kitchen comes momos – those slippery little steamed dumplings that will be familiar to anyone who like a bit of dim sum on a Sunday. I’ve already fallen for the Darjeeling Express versions shaped like little Cornish pasties; but these round rendition, filled with pork and crowned with a pretty pleats aplenty are a new prospect. And these momos are every bit as memorable and delicious as Darjeeling Express’, an example of how a dish augments according to geography, religion and culture. The accompanying tomato and sesame chutney adds that Chinese savour to the piggy parcels fellow front-of-house Radka and I can’t stop popping. Next, aloo chops put a smile on everyone’s chops, especially mine. These little croquettes are formed of spicy mashed potatoes around a mince meat core; and cor, blimey, they don’t ‘arf taste like the pan-fried potato cakes my Dad used to knock up with leftovers. 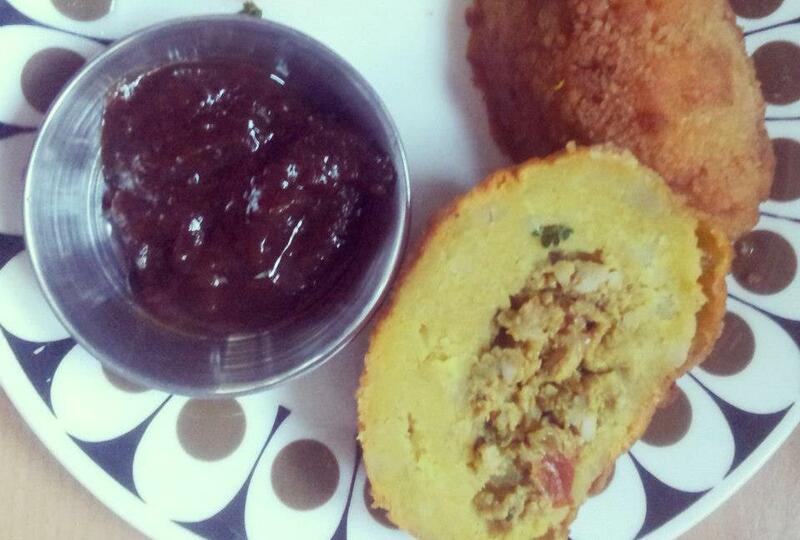 Pure comfort with a crunchy coating, zipped up a treat with twangy tamarind chutney. Maasu bara are described as lamb-and-lentil patties – like Newari shammi kebabs, I suggest. Rajiv recoils; these are different. And, he confides, he’s not a fan of shammi’s super-soft texture. Although these use a similar mixture, they’re texturally akin to Thai fishcakes – toothsome, almost bouncy, and extremely pleasing when dolloped with highly herbal green chutney. These come plated with a pile of choyela – a cold chicken dish that’s a hot favourite. The marinade for the traditional Newari dish includes fenugreek seeds, Szechuan pepper and a generous amount of ginger and garlic; just oily enough to leave a pleasant finger-licking good coating on one’s digits. My own digits are itching to get themselves wrapped around one of the deliciously dumpy samosas I’ve spied, but my hopes are smashed along with the pastries. These snacks aren’t being served as a simple savoury; rather, pieces provide the base of a chaat; a marvellous melange featuring chickpeas, chutneys, yogurt and raw onion, plus that unmissable masala that Rajiv, in his excitement, almost does. That super-savoury flavour is present in the paani puri we pass round next, describing to diners how to make up mouthfuls of the snack so popular across the entire Indian subcontinent. The hollow, crisp wafers are filled with cold spiced potatoes and crunchy garnishes, topped up with a slug of tamarind water and downed in one – and these go down so well we don’t even get a look-in. Never mind, because that just means more room for the grilled meat whose acquaintance my stomach has been waiting to make all evening – intensely nutmeggy chicken sekuwa, marinated overnight with the simultaneously hot-and-numbing Szechuan pepper and yogurt; and hyakula – Flintstone-esque lamb ribs that demand a proper gnawing. I can’t work out if it’s the hemp in the accompanying chutney that’s leaving me intoxicated, or the new tastes. Everyone’s had that experience of hitting the takeaway after an unfulfilling dinner in order to feel properly sated – and Rajiv is taking no risks, rounding off the princely procession of plates with the chatamari he describes as ‘Newari pizza’. I’d say it’s more of a dosa/cheung fun hybrid, but however one puts it, the folded rice crepe with its lamb filling is a winner. It will also properly preclude any post-prandial takeaway trips. Especially seeing as there’s still sweet sel roti to serve. There’s nothing dainty about the size of these festive rice-flour rings, proportioned to garland the wrists of gods. But their taste is delicate and delectable, and home-made coconut ice cream the perfect pairing. Together, the pair provides the perfect ending to the evening. Tonight’s been an evening of edible enlightenment; all the more enjoyable for exposing a cuisine so rare and so worthy of relish. Those mountain-high expectations have been both met and surpassed. You know me, and my love for a punishable pun. So to surmise; were you to ask me whether you should visit Rajiv’s Kitchen and start nibbling on Nepal post-haste, I’d say it’s a total Kathman-do. Keep posted on Rajiv’s latest supperclub dates at rajivskitchen.webs.com, ‘like’ Rajiv’s Kitchen on Facebook, and follow @Rajivskitchen on Twitter. 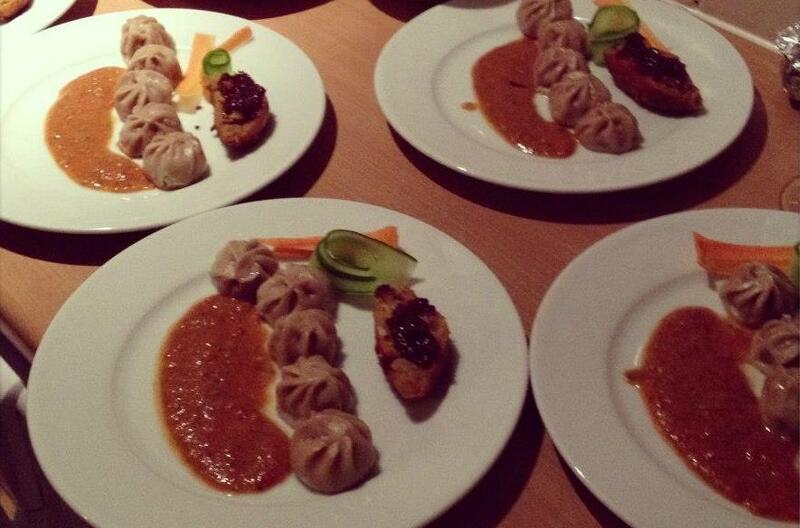 Rajiv will be serving momos on 5th December at Palm 2’s Christmas ‘Clapton Club’ launch event. For more information, click here. 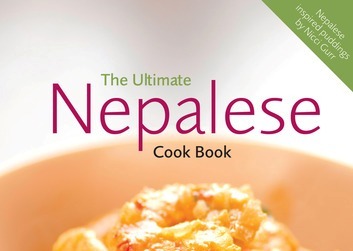 For a great introduction to Nepalese food, check out ‘The Ultimate Nepalese Cookbook’ by Pemba Lama – click here to read my review. To read Tom Parker Bowles’ review of Gurkha Kitchen, click here.